October | 2011 | CCIE, the beginning! As an example, I picked up the case where the source routing domain is OSPF (AD=110) and the destination administrative domain is EIGRP (internal prefix AD =90 and external prefix AD = 170). As an example, I picked up the case where the source routing domain is EIGRP (internal prefix AD =90 and external prefix AD = 170) and the destination administrative is domain OSPF with a better AD of 110. 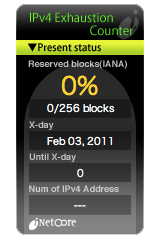 The network 33.33.33.0/24 can be a different IGP than EIGRP or just a directly connected network (a loopback interface in our case). Because EIGRP differentiate between internal and external prefixes by assigning different Administrative Distances, the prefix 33.33.33.0/24 become (D EX) with AD=170. R1#ping 33.33.33.33 source 11.11.11.11Type escape sequence to abort. Note that the primary path is through OSPF domain (suboptimal) because R1 has received the prefix 33.33.33.0/24 from R4 as an external OSPF prefix with (AD=110) which is better than the same prefix received from R1 through an external EIGRP with AD=170. The same prefix is also present in EIGRP topology table. This could be a case where your routing and security policies do not allow to reveal your internal prefixes and traffic to an external domain. In case you need to guarantee route redundancy for internal traffic even through external domains. 5.3- Filter prefixes from IGPs into the routing table using inbound distribute-list. So at the destination router receiving the update, the longest prefix is selected. DO NOT redistribute a prefix to its domain of origin, if needed, make the metric worse than those internally available. We need to clear OSPF process locally for the changes to take effect. OSPF prefix 33.33.33.0/24 is still there but with a worse administrative distance of 180. Let’s perform summarization of the prefix 33.33.33.0/24 on R3 to a shorter mask length of /16 before announcing it to R1. For the sake of route consistency inside areas, summarization has to be done at the ABR or ASBR. R1 has received the summary address 33.0.0.0/16 and consider it as different from 33.33.33.0/24 received through EIGRP. R1#trace 33.33.33.33 source 11.11.11.11Type escape sequence to abort. 1- Control what prefixes and where to redistribute. 3- Filter prefixes from IGPs into the routing table using inbound distribute-list. 4- Summarization to shorter subnet mask on the source router.